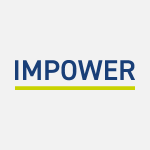 IMPOWER have recently had an article published in the MJ focusing on fostering. The article focuses on achieving better outcomes and cashable savings by understanding what makes foster carers tick. To read the full article please download it here. Will Reynolds is a Manager at IMPOWER. To contact him to discuss this blog please e-mail wreynolds@impower.co.uk or call 020 7017 8030.